In this post, we will describe Android SwipeRefreshLayout component. 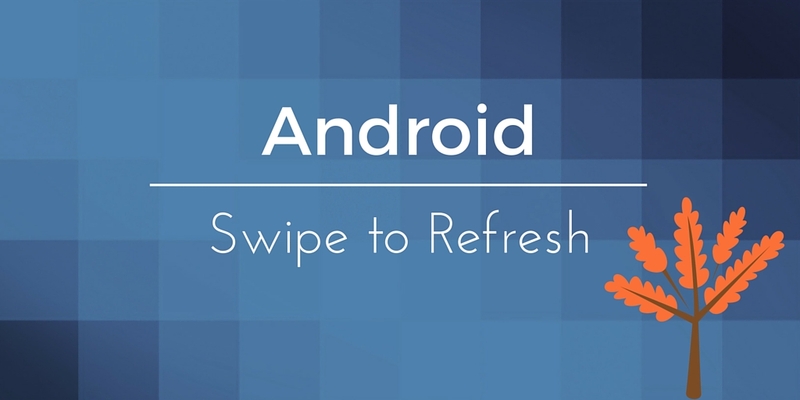 This component should be used whenever the user can refresh the UI using swipe gesture. In a previous post, we talked about another method to refresh the UI that we called shake to refresh, where the user shakes his smartphone and using accelerometer sensor the app refresh the UI. We talked about a custom implementation of this refresh pattern in this post where we implemented some like it. The Android SwipeRefreshLayout component is a standard implementation provided by the SDK and it is already used in some App provided by Android (i.e Gmail). 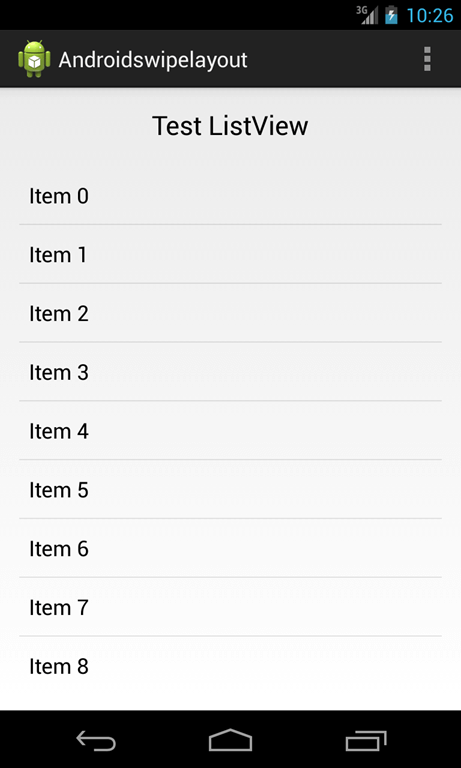 Android SwipeRefreshLayout component accepts only one child: the component we want to refresh. It uses a listener mechanism to inform the listener that holds this component that a refresh event occurred, so in other word our Activity, for example, has to implement an interface to be notified. The Activity is responsible to handle the refresh event and refreshing the corresponding View. If the listener, once it receives the event, determines that the refresh process should take place and wants to show a “refresh animation”, it has to call setRefrshing(true), otherwise it can cancel the animation calling setRefreshing(false). As you can see everything in our example happens in onCreate method. At line 6 we get the reference to the SwipeRefreshLayout so that we can set the listener (line 10,11,12). In the listener, we simply can setRefreshing(true) to enable to refreshing animation and then we generate our random number. At the end (we emulate a quite long process) we stop the animation. As you can see at line 33, we override the onScrollListener of the ListView to handle the enable/disable mechanism. Hello hope you are having a good day, I know this is a bit off topic but i was wondering if you remake the upload to server app and put all of the source code in one github directory even the server side and explain how to optimize the app for a localhost server. Instead of adding an onScrollListener, you should subclass the SwipeRefreshLayout class and Override the canChildScrollUp method. It allows to call the refresh method only when you are at the top of your listView. after applying the following solution, I am facing problem if the 1st row in the list view has height greater than the screen size. It wont load other rows on screen and not able to scroll. If the height of 1st row is less than the screen size, than all works as expected. Hi, thanks a lot for the first example! Did you download it from github?